Vineyard and winery operations have traditionally been family owned businesses. If the family is strong, oftentimes the winery is strong as well. In the case of a start-up winery, the pressure can be hard on a family, especially a young one. I have been a Boy Scout leader for over 15 years now. My proudest position is that of merit badge counselor for the Eagle Required Family Life merit badge. I am teaching these young men, and in the future young women, about the importance of family in the community as well as in society. Family has leadership, communication, compassion, teamwork, finances, problem solving and adaptability all wrapped with love and care. If we work together as a family, we teach our kids to work as part of a group. As our kids got older, we started Forced Family Fun. With living on a farm, there is always more work to do. So getting away and not working has been an important thing to do. Making time to see a movie, visit a museum or go for a hike with mom and dad may have not been my kids first choice in those teenage years, but by keeping this alive, they learned how important making time is. Now that they are in their twenties, the kids actually make us schedule the “FFF” as they are here less and less and recognize the value of these moments. 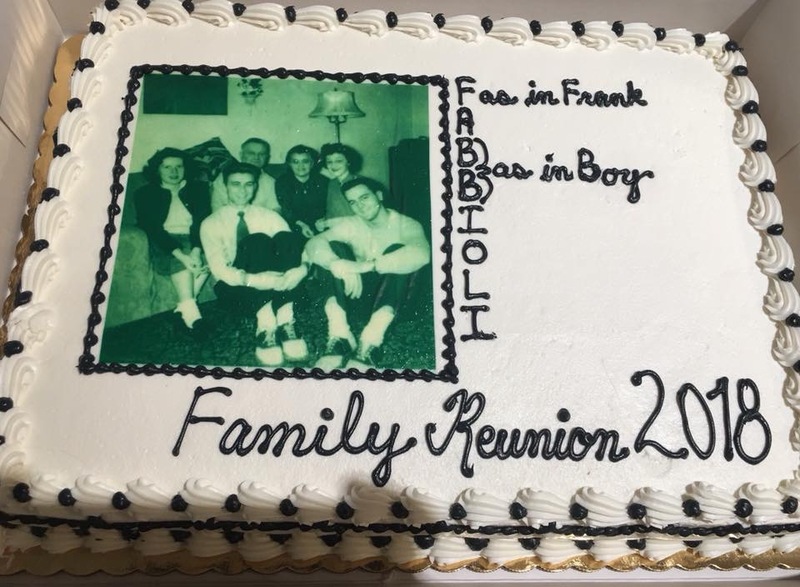 We hosted a Fabbioli Family reunion here recently. It was nice to have the space and facilities to make this happen. Having family together brings back the memories of Grandmas house, playing with cousins and learning new things in the garden as well as in the kitchen and the workshop. I recognized that that house was not just special to me, but to all of my cousins as well. Being the youngest of the youngest, my grandfather passed before I could meet him, but I realized how much of what he built into his home and life is in our land and life here. Raspberries, pears, winemaking, a shop where anything can be fixed. Simple, flavorful, traditional foods, prepared regularly and with love. Setup, clean up, everybody pitches in to get the work done, so we can sit and visit as well. The best is getting the younger generation involved in whatever the project or need may be. I always like to give my nephews and nieces a different perspective on life. It’s been great seeing them grow and watching their relationships with my kids grow as well. They look forward to their time on the farm much the same as I did when we had our visits at Grandmas House in Elmira. That sense of place intertwined with the food, activities, traditions and people create a family feeling that is unique with each family but familiar across all cultures and family structures. So as families age, shift and grow, the glue that holds them together is love. We have families of blood and choice, but they just don’t succeed without giving of yourself and teaching the next generation to do so as well. We will host more family reunions here in the coming years. As the kids of today have their own kids in the years to come, the family cycle continues. Hopefully the simple values of land, love, food and family will continue on. Grandpa taught me a few things without ever meeting me in the flesh, and I hope we have done our part to keep our family culture strong. Having transferred those values into our farm and business, and seeing my cohorts doing the same thing, we have built an industry that should be around for generations. As long as we respect those values. « They’re Burning Down the House!